Our guest for this week’s show is Commercial Real Estate and NNN expert, Alan Fruitman. In today’s show, we’ll be speaking with Alan in detail about the opportunities that exist in investing in NNN credit tenant properties and why he feels that this investment type represents some of the lowest risk and most passive forms of real estate investments that exist. Alan eats, sleeps, and breathes NNN investments on a daily basis and it shows during our time together. If you’ve never considered NNN credit tenant investments as a potential investment vehicle, then you really need to listen in as you might just come to the realization that NNN investments are a perfect fit for your investment model. How Alan fell into the niche of NNN investments. What a NNN property is and why these types of properties offer many benefits to real estate investors who are looking for passive investments that will take very little of your time to manage. Why Alan feels that NNN investments are one of the safest and lowest risk types of real estate investment available. Why location is everything when it comes to NNN investments. The average length of a lease on a NNN property. The reasons why banks also love NNN properties and the various types of financing that are available for these investment types. 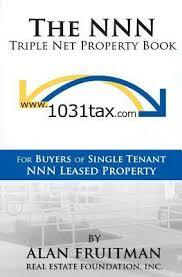 How to find available high quality NNN properties available for sale. How Alan found his mentor who trained him in this particular niche of NNN properties. Cash Flow Friday Tip #31: How to uncover dangers during your due diligence that could cost you massive profit losses. Cash Flow Friday Tip #25: Recap from my recent trip to Iowa to inspect a Mobile Home Park our group is purchasing. CFFT #38: How to Get a Steady Stream of Off-Market Commercial Pocket Listings from Brokers…Even if You’re a Brand New CRE Investor.